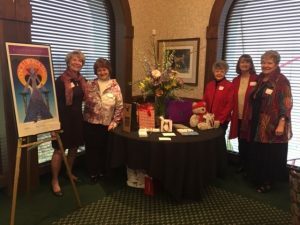 Diane Buchanan Johnson and her committee of Linda Rountree, Pat Ferguson, Judy Hudson, and Edna Vanderkarr planned this year’s Membership Luncheon held at Dayton Country Club on February 7 beginning at 11 a.m. 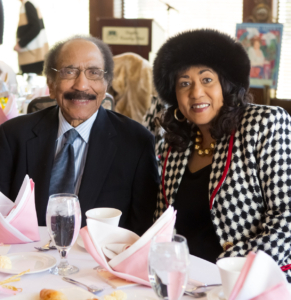 Despite the gray skies outside, the banquet room was full of cheerful greetings and enthusiastic conversations. 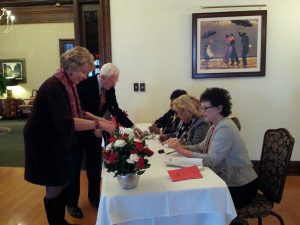 The tables anchored by red roses and baby’s breath hinted that spring is around the corner. Lunch started with a delicious fresh fruit salad and warm scones and croissants. Chicken crepes over asparagus served as the entree. The finale was the famous pecan fudge ice cream ball. 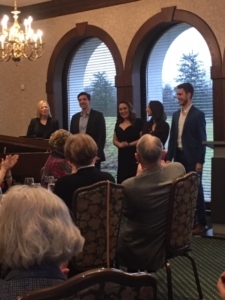 The crowning touch of the event was the energetic performances by the Dayton Opera Artists-in-Residence accompanied by pianist Carol Walker. 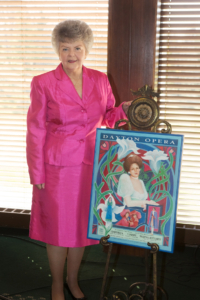 To hear a selection by soprano Marisa Karchin and mezzo-soprano Courtney Elvira, please click here. 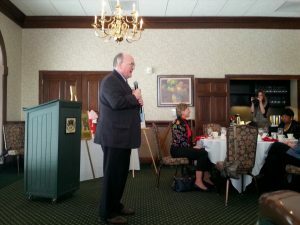 The Guild’s annual Membership Luncheon was held on February 8 at Dayton Country Club. 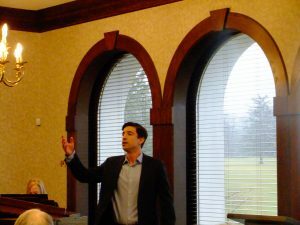 The cheerful conversational buzz in the banquet room was in sharp contrast with the snowy chill outside. 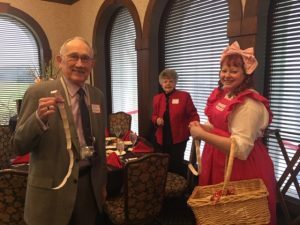 Guests enjoyed a festive Valentine theme while savoring a gourmet quiche entree and chocolate-coated waffle cup of creamy fresh fruit. 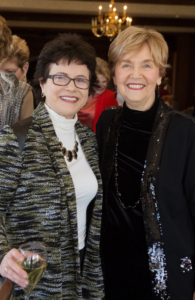 President Nancy Farkas and Chair Margarete Jennings welcomed everyone. 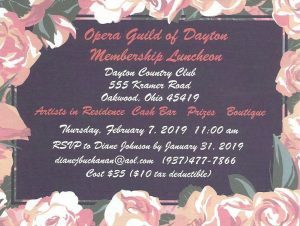 Nancy presented Dayton Opera Artistic Director Tom Bankston with a check for $5,000 to fulfill the Guild’s commitment in support of the Artists-in-Residence. 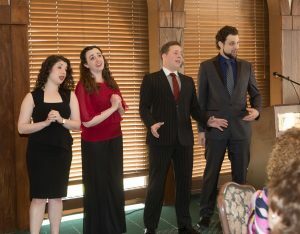 These talented Artists-in-Residence were on hand to entertain guests with their selection of opera and show tunes. Many additional pictures were taken by Ashley Mauro Photography and are available for viewing by clicking here. The password for our photos on her site is dcc2018. Enjoy! 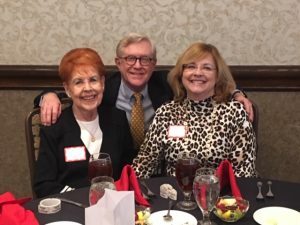 The Guild’s annual Membership Luncheon was held on March 16, 2017 between 11 a.m. and 1:30 p.m. at Dayton Country Club. 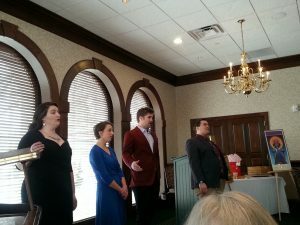 Entertainment was provided by Dayton Opera’s Artists-in-Residence. Toni Winger chaired this gracious event attended by nearly 100 guests. 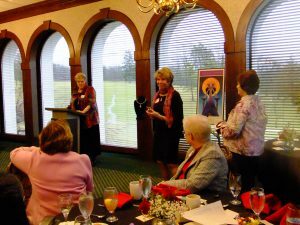 Toni’s committee included Linda Rountree, Pat Ferguson, Judy Reeve and Judy Hudson.